The town of Ghezbaldi has stood for millennia. Recent construction work to build a new inn uncovered the entranceway to a long abandoned underground complex. The builders of the inn, Edwyn and Jackson Cairn, took it upon themselves to drop down into the dark hallways of what some say is a long forgotten thieves’ guild and explore. That was 3 days ago, and now the townsfolk are concerned. 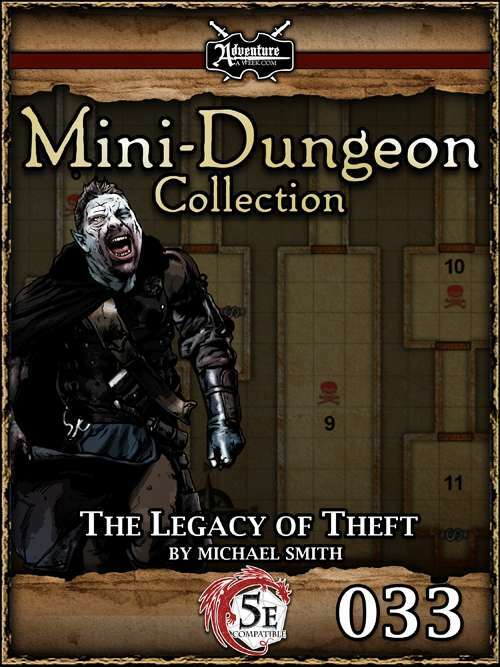 5E Mini-Dungeons are single page, double sided adventures for D&D 5th Edition which are setting agnostic and are easily inserted anywhere in your campaign. This title was added to our catalog on October 03, 2016.